Rockwell Time USA announced today that it has acquired 8-year-old high end belt manufacturer Rico D Leon, and retained all of Rico D Leon’s employees. Terms of the acquisition were not made available to the public. 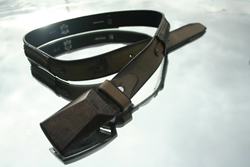 Rico D Leon manufactures high end leather belts in Mexico and Europe, with products priced between $80 and $800. “Bringing on Rico D Leon compliments our current product offerings of luxury lifestyle watches and vision wear,” said Rich Eggett, founder of Rockwell Time. Tim Goalen, COO of Rockwell Time, oversees the new line of high end leather belts.